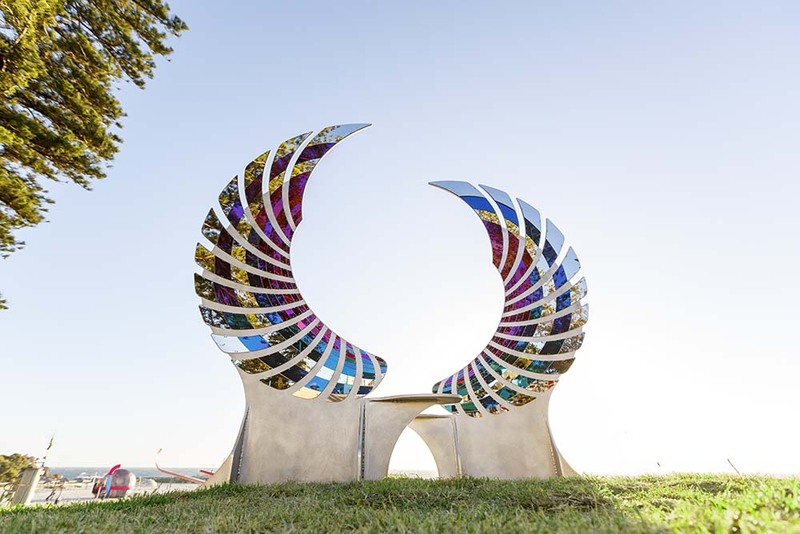 Denise Pepper, ‘Waiting in the Wings’, Sculpture by the Sea, Cottesloe 2018. Photo: Jessica Wyld. An internship which provides an ECU student access and involvement in the design, installation and administration of the Exhibition and mentoring. The Sculpture by the Sea Artist Process Exhibition. ECU curates and produces an exhibition at Gallery 25 with the support of Sculpture by the Sea that features Sculpture by the Sea sculptors in this year’s exhibition, their concept drawings, design sources, materials they used, structural and spatial development and site placement information. Sculpture by the Sea enjoy working with ECU, its students and graduates to build on the success of each exhibition and to create new and more exciting opportunities ahead.